The Fatness is a concept-driven story that tackles the complicated problem of public health issues. 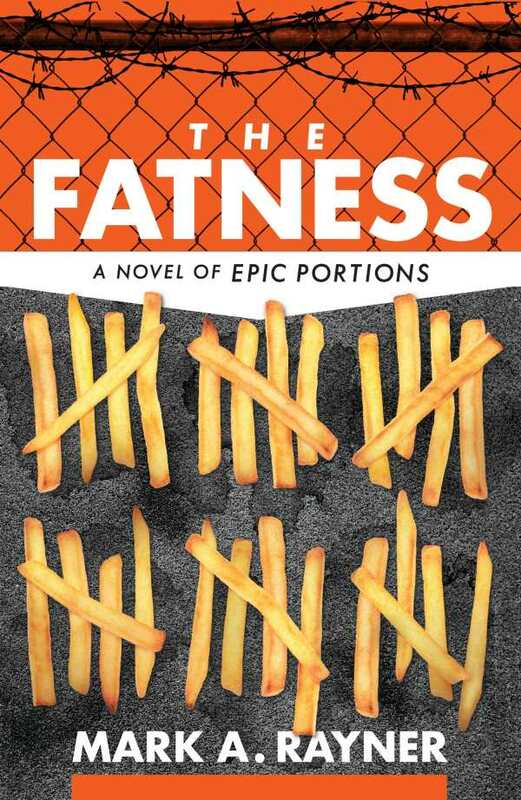 Mark A. Rayner’s speculative fiction novel The Fatness takes society’s obsession with fitness and weight loss to task in a story about love, human dignity, and the consequences of standing up for your beliefs. In the novel’s alternate universe, Keelan Cavanaugh is a thirty-something Canadian web developer living in a time when people with a BMI over 30 are forced to choose between admitting themselves to a Calorie Reduction Centre or losing access to their government-funded health care. Struggling with his weight, Keelan is approaching his second anniversary at the Calorie Reduction Centre, and he is getting desperate. When the management of the Calorie Reduction Centres is transferred from the Canadian government to an American-run corporation, Weight Winners Canada, Keelan’s situation deteriorates further, and he begins to lose hope of ever getting out and rejoining society. But through his relationship with an altruistic lawyer, Jacinda Williams, Keelan rediscovers his own self-worth and finds a new purpose in life. Together with Jacinda and his fellow CRC companions Max, Greg, and Barbara, he begins to make plans to take down Weight Winners Canada and put an end to the CRCs. Combining storytelling with cleverly written research-based blurbs that set the theme for the upcoming chapter, the novel follows several different characters to provide insight into the corrupt system behind the Calorie Reduction Centres, from an organized gang called the Heavy Hitters to the wheeling and dealing that leads to the Weight Winners Canada takeover. It also traces a love affair between Keelan and Jacinda. Unexpected events help to maintain a certain level of anticipation. The book’s several points of view and unpredictability are simultaneously its strength and its weakness. For much of the novel, the story lines of the different characters are given equal weight. Keelan’s story nearly gets lost among other characters and their conflicting goals, muddling the story arc. In the end, it is difficult to determine whose story is actually being told. The plot does little in terms of character development. When a character does face a situation resembling a crucible, their decisions often end up having little consequence, placing them back where they started. Straightforward prose makes for comfortable reading, though, even through narrative roundabouts. Surprising developments sometimes serve as plot twists, but they mostly come across as distractions. Interactions between characters are sometimes clichéd, most noticeably those between Jacinda and her boss and between Jacinda and Keelan, wherein Jacinda’s level of determination is determined by the men’s responses to her. Exposition-laden conversations are distracting, particularly when characters overexplain things that they should already be familiar with. The novel ends prematurely, leaving the outcome of the events it set in motion unresolved.